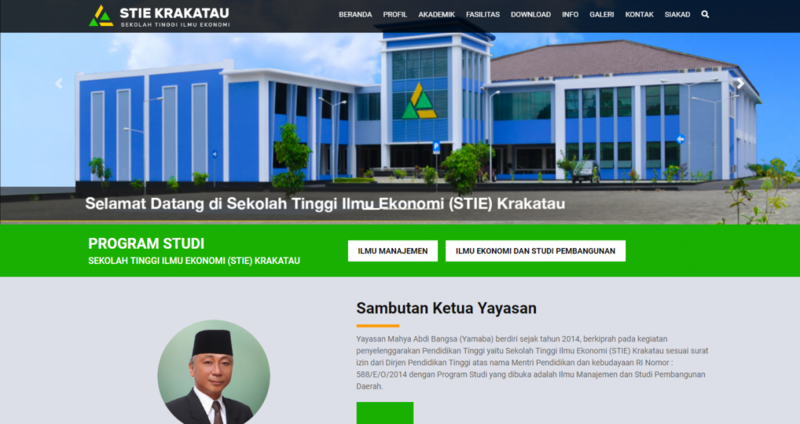 STIE Krakatau is a private college of economics in the Lampung. 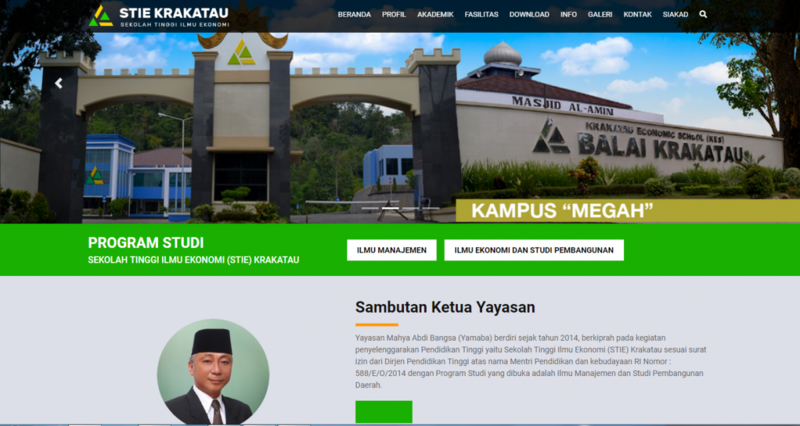 The Campus managed by the MAHYA ABDI BANGSA foundation is dubbed the magnificent campus because the building is fairly luxurious. 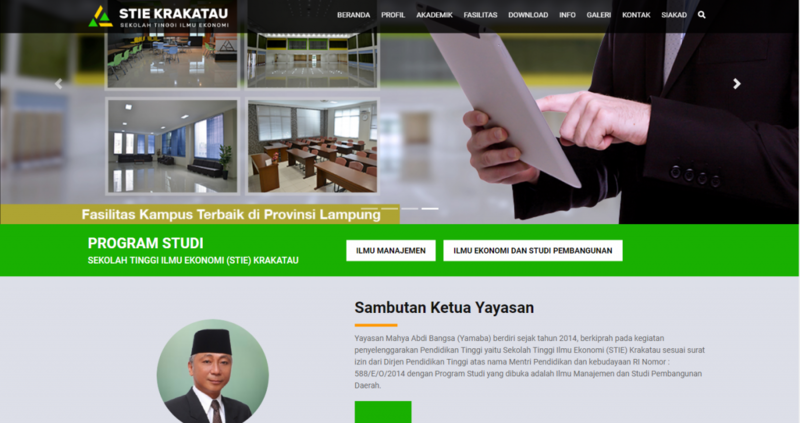 STIE Krakatau collaborates with Gink Technology to build their official website. 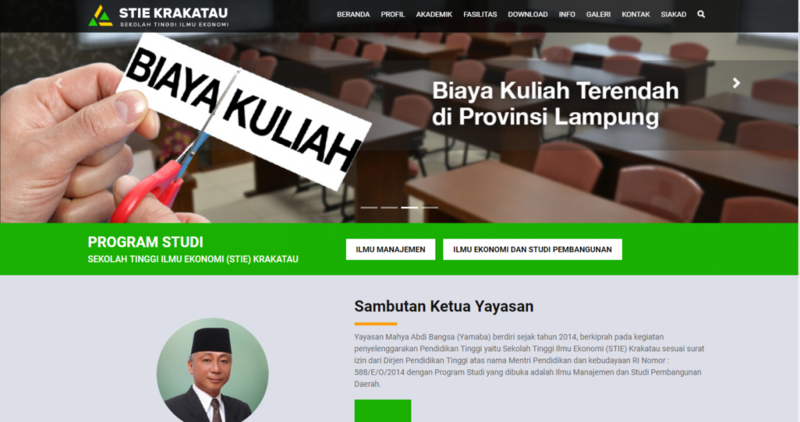 On the website, you can get information such academic, facilities, announcements and their activities that they share on the website. 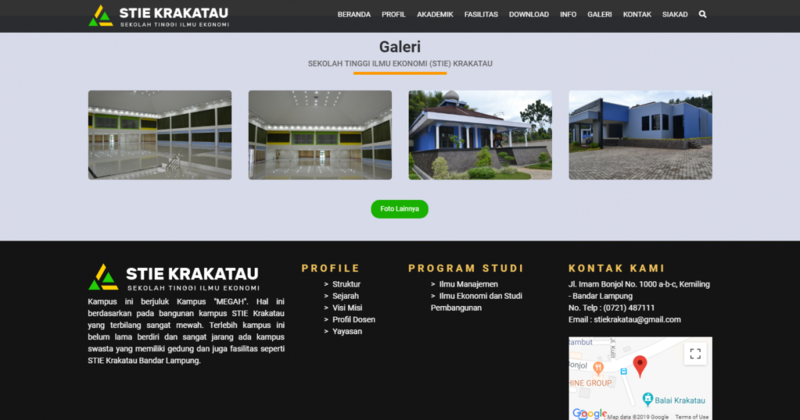 So that , you’ll easier to get more information especially prospective student who want enroll their education at STIE Krakatau.